Named after the Romanized version of the Greek hero Odysseus from Homer’s Odyssey, the Ulysses butterfly, also called the Blue Mountain Swallowtail, seemed a fitting choice for our first edition coins' epic voyages. 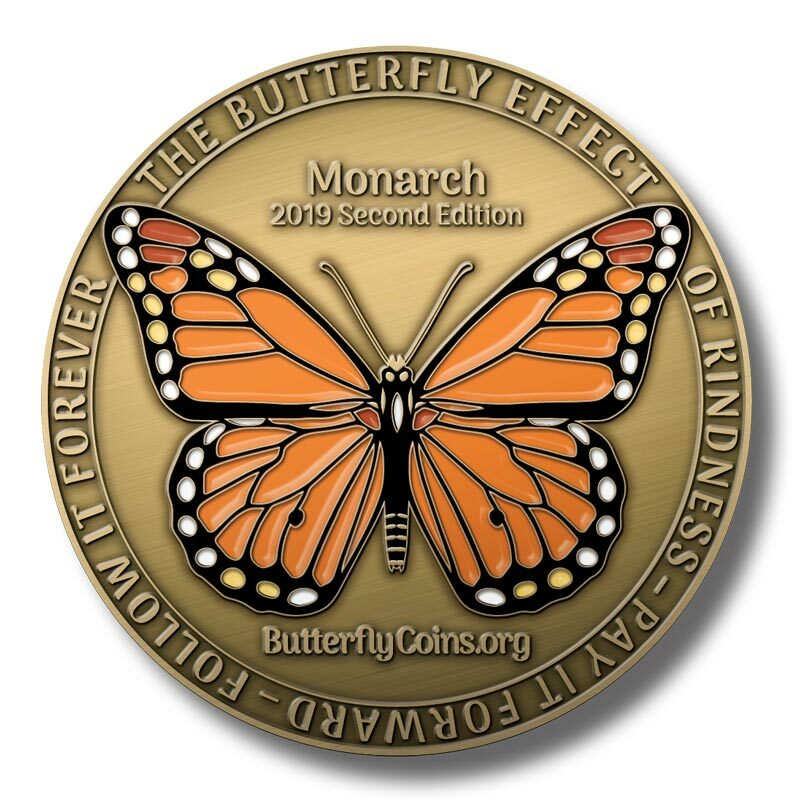 Two inches in diameter and die-stamped in 3mm-thick solid brass with a 5-color hand-painted butterfly, these coins are etched with unique tracking codes and will last forever. Our butterfly art for this edition is Creative Commons Attribution-Share Alike 3.0 Unported and sourced from Craftsmanspace.